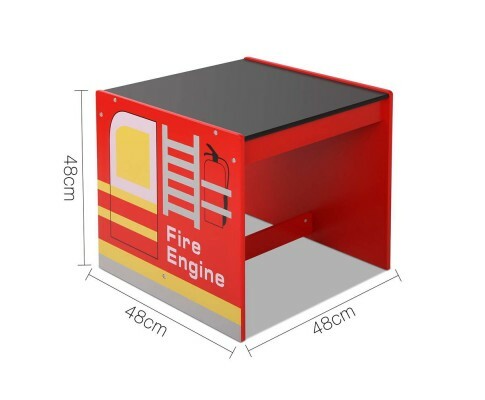 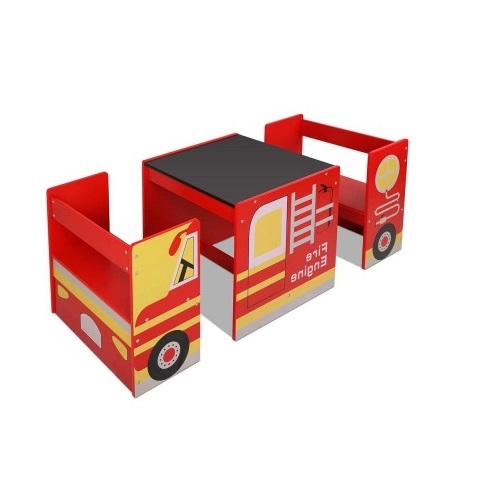 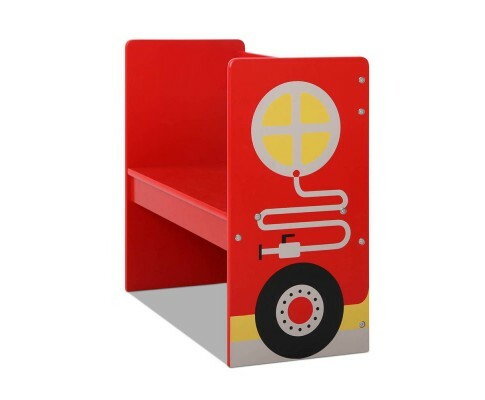 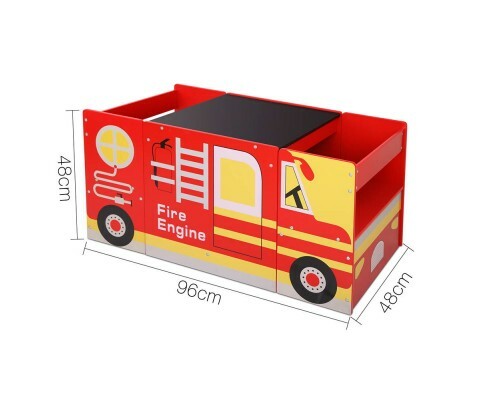 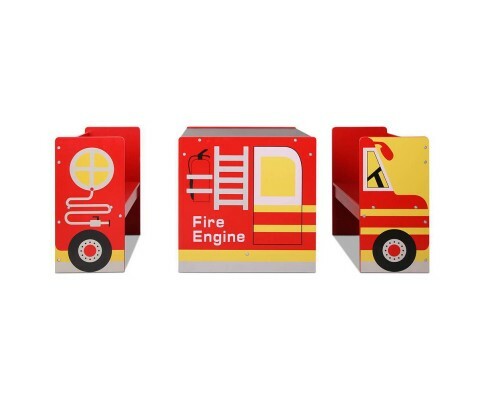 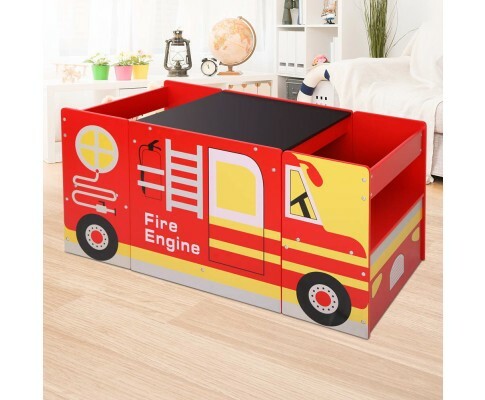 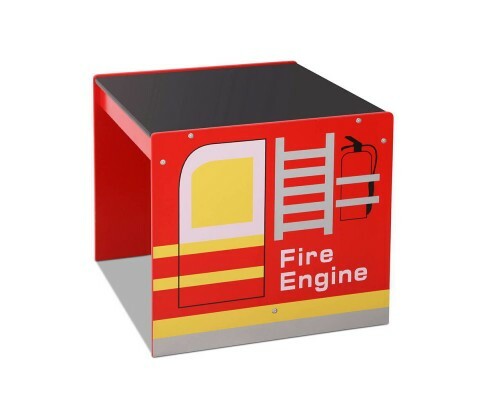 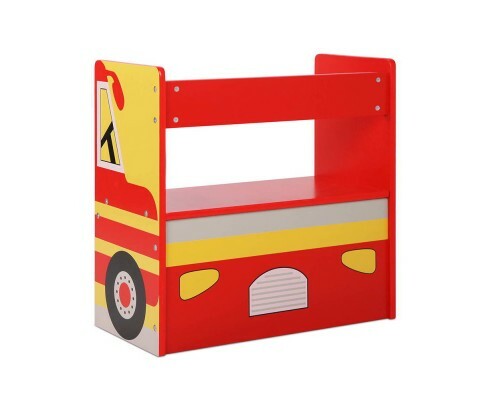 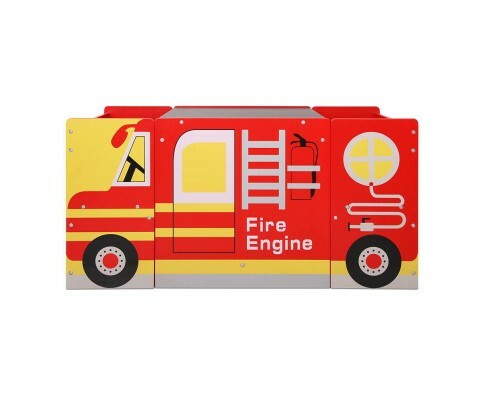 Featured with fire truck concept, this kids fire truck table and chair set consists of two chairs and a blackboard top table. 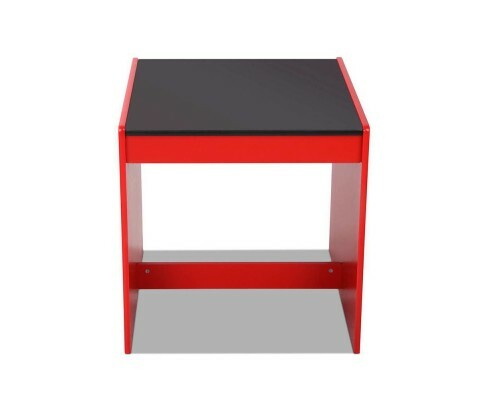 Besides the routine reading, this table can be used for playing puzzles, boards games, doing craft work and snacks or dinner. 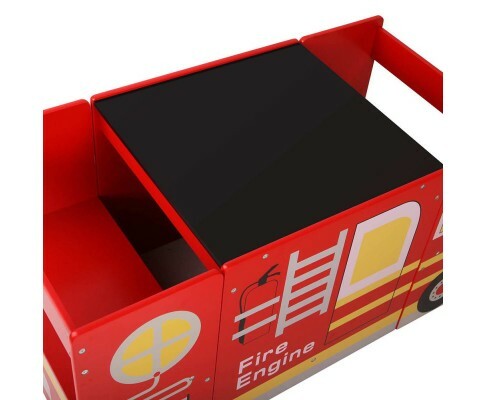 There is also a blackboard which allows them to practice their skills and explore the world. 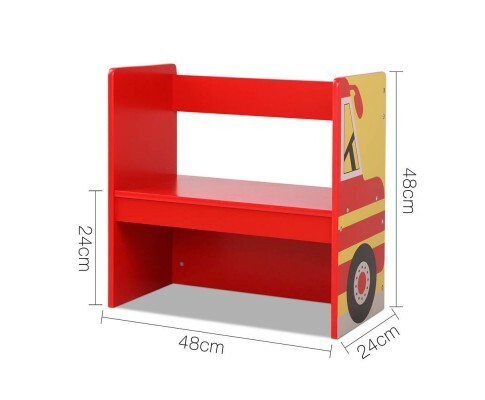 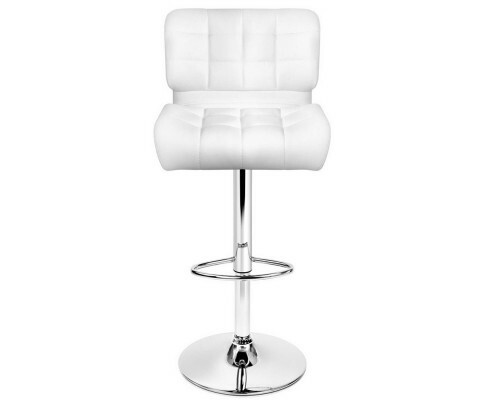 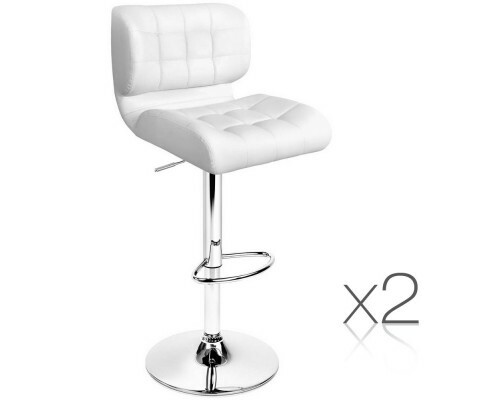 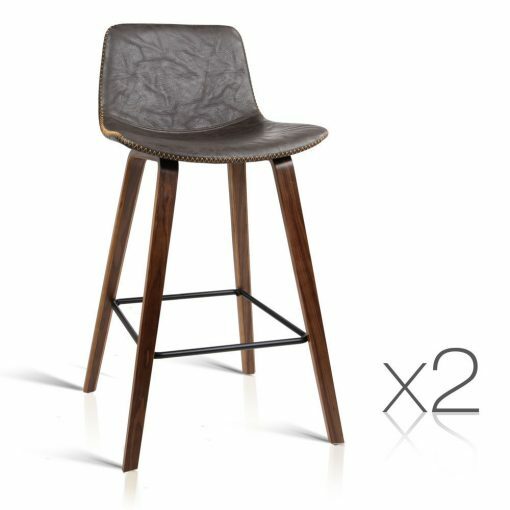 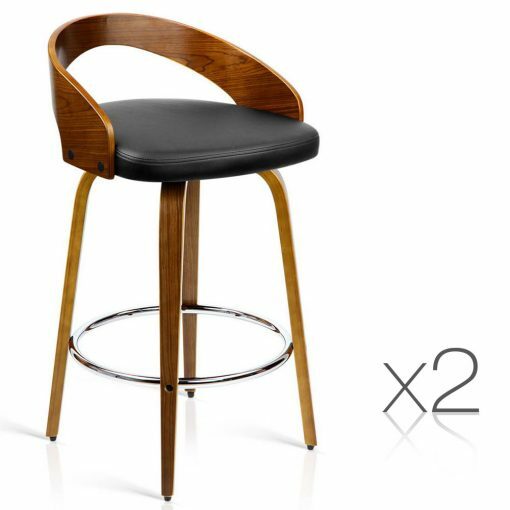 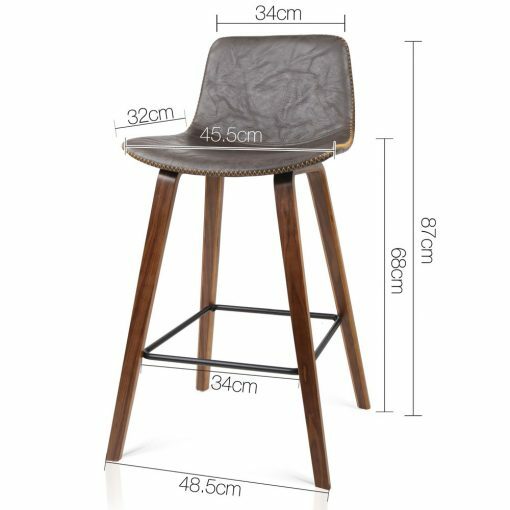 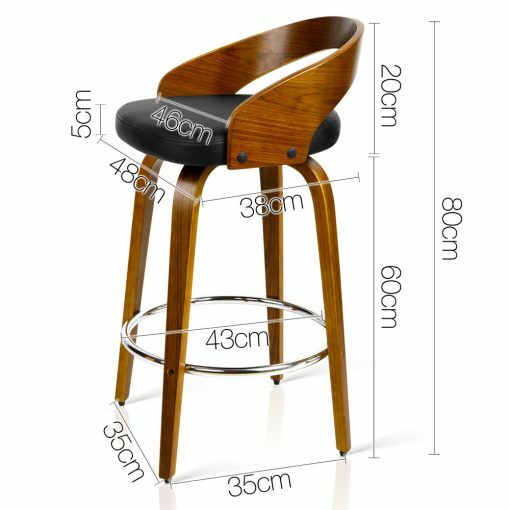 Packed with quality features such as building with sturdy MDF wood, finished with non-toxic paint, easy handling chairs and smooth surfaces for easy cleaning.